As a Weed seeds enthusiast you will want to make sure you get the best Marijuana seeds.Finding the best seeds to grow is not an easy task given the vast amount of marijuana strains out there. It’s not always about the best cannabis seed to find rather than the right cannabis strain you need. It all depends on your needs, likes and level of expertise you gained over the years growing marijuana. 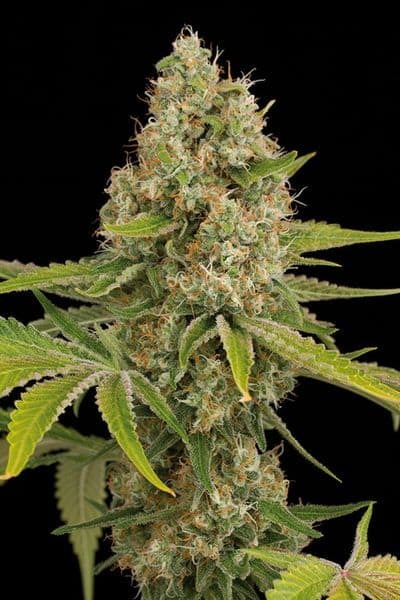 Cannabisowl.com’s team has gathered the top 10 best marijuana seeds taking under considerations the ease of growing, the time spent of growing the strain, the quantity of the crop and the quality of the end product. It’s very important to consider all these factors before making the purchase of the cannabis seeds. Price is not the sole factor here(!!!!). Think about your abilities and constrains as a marijuana grower and choose your poison wisely and off course read and learn about each cannabis strain for maximum after impact. O.G Kush is a well known name, coming from (believed) ‘Ocean Grown’ but later on it was referred to as the ‘Original Gangster’ and hands down one of the most popular strains worldwide and is in extremely high demand especially in the US, where is has its roots where is blossomed under the California Sun. It is thought to have originated by crossing a Chemdawg with a Thai Lemon and a Pakistani Kush Hybrid. It’s a bushy and dense plant with plenty of bright green buds that are a super resin laden as well as long cones. It has a wonderful flavor that is a citrusy lime diesel, so you have an equal amount of fresh and sweet with an earthy spicy diesel undertone. Not to mention this baby packs a super powerful punch as it has impressive high CBD levels of 0.23% not to mention a high THC of up to 24%, the high is hard hitting and quick and leaves you with a heavy cerebral and body buzz, with power that can knock you out if smoked in excess, but with excellent relief for those with headaches, stress & depression and Nausea. She might be expensive but she is well worth it! Devil is a super heavy skunky strained Indica/Sativa mix that is a cross between an Afhgani and an Afghani Skunk #1. This is a medical grade variety that is a super grower both indoors and outside and although a little slow on the start she picks up the pace and grows real quick and vigorously with wide fan shaped leaves with its ‘red devil’ colour. It will reach the flowering stage in approx 45 days being ready in October when grown in optimum growing conditions and will give you around 450-550 grams per square meters when grown indoors or in the greenhouse and up to 600 grams per square meter outdoors and can be easily grown by novices and experts alike. Note that when grown indoors its betst to place in vegetative growth for at least 2 weeks to accomplish maximum yield. The Devil is medically recommended for use in people who are suffering from all kinds of ailments such as high blood pressure, anorexia, cancer, insomnia, depression as well as so many others. The effects that you get a are both a physical relaxing body stone as well as a cerebral buzz that stops worry and care, as well as giving you back your appetite through illness or Nausea. She has a strong deep skunky spice taste with a slightly appley fruity understone. This Blue Beauty is the US most popular. It has a great THC level of 21% and CBD of up to 0.2% and has high Sativa levels of 80% and is a well liked treatment for Pain, Nausea and Depression, and as it is more of a cerebral effect its great for daytime use as you dont get a heavy sedative effect, but it leaves you happy, euphoric and uplifted. As its a hybrid cross of a Blueberry Sativa and a Jack you get a real rich fruity berry taste and aroma. Its a great yielder also and will give you up to 500 grams per square meter when grown indoors and an even higher when grown outside, being able to reach 700 grams per square meter! The bush looks a little more like an Indica but it keeps its Sativa qualities. It has an average growing time, flowering in around 10 weeks being ready for harvest in September/October time. Its not a novice grow, but you dont need to be an expert either, just know what you are doing. When vaped this sweet berry strain is even more mellow on the mouth. The Pineapple came about way before the perhaps more well known varieties such as the Pineapple Express or the Pineapple Kush, and it is thought that this strain is arguable better in many ways as well as being more potent having THC of between 16-26%. The bush has dark green buds that are fluffy and sticky and covered in orange Trichomes. This fruity fresh strain is an inbred descendant of a Super Bud which is a Sativa dominant type that has a strong pineapple flavor with a hint of skunk. The Pineapple will give you a cerebral buzz that has a slightly spaced out floaty sensation that can easily wash your worries away and make you lose track of anything that was worrying you, and make you creative but not necessarily able to stick to doing one thing, so not if you actually need to get projects finished but definitely a happy creative high that will make you enjoy whatever you are doing without much care. With that said it is popularly used by those with anxiety, depression and chronic pain. Also as you also really get the ‘munchies’ it would also be great for those who have lost their appetite due to illness or nausea. Mango cannabis has Afghani roots and has been around since the early 1960’s but was crossed later on with a KC33. It’s an attractive plant that depending on the temperature can have either dark red leaves with a purple tinge or with hints of yellow and green. This tropical treat will give you an abundance of massive luscious buds that smell as good as they taste with a strong Mango aroma, they are so dense that the branches have really strong stems to support them. It is recommended for outdoor growing and is a broad and tall plant flowers around 9-11 weeks in October with high yields. It has a super THC level of between 15-24% and massive CBD of 10% which is a real experience for those who are not used to such levels. It is a 50/50 Indica & Sativa mix giving you a happy hungry high that relaxes you but leaves you euphoric rather than couch laden and is used by those who need relief from chronic pain and insomnia that comes from such cases, rather than it knocking you out, it relieves you from your suffering so that you are able to have a good nights sleep. Morning Glory is a ‘happy strain’ and Cannabis Cup winning hybrid cross between an Afghani, Hawaiian and a Skunk, so you can expect both a potent body stone but also with a massively happy uplifting cerebral effect giving you the best of both worlds and popular with those who suffer from ailments such as appetite loss, nausea, aches, pains as well as fatigue, as you will be left feeling uplifted with a good case of the munchies but not overly energetic so also can be used in situations like chilling at home or at the beach. It is 60% Sativa and 40% Indica in a sturdy branchy bush which does best if you retain its branches rather than prune them back. It’s a medium size plant that is recommended to be grown in organic soil. Fabulous strong compact buds are dripping with resin will be ready in around 8-10 weeks giving you a great yield of around 400-500 grams per square meter. It has a really nice Polynesian flavor which you could say is floral as well as skunk taste coming from its exotic Hawaiian heritage, but is also has an undertone which is slightly spicy with a hint of earthy citrus. Venus Flytrap Marijuana is a reality and not an actual cross between a Cannabis plant and a Venus Flytrap plant as much speculation suggests! This skunky strain is a fuel type hybrid which has huge buds that are sweet smelling and skunky. It’s a very popular choice for both novice and expert growers giving you fantastic yields of around 550 grams per square meter when grown in SOG setting. It can be grown indoors and out but it is worth mentioning that you will get even better results if you are above 40 degrees latitude. The effects are a super rush high that will leave you pumped up and full of energy which is great for daytime use and for when you need a pick up when too tired to get going or go out unless you smoke in excess it still has possibilities to couch lock you so don’t get carried away. Definitely more Sativa type buzz than Indica qualities though with a nice high THC level of up to 20%. It’s a real robust plant that doesn’t need any special treatment so great for novices. Its slim long dry cones of buds are really easy to harvest. It has a candy skunk taste that some say is almost like a fudge. A Royal Beauty indeed but her exact heritage is really a little bit of a mystery! Due to her unknown family tree we dont know the exact amount of Sativa or Indica she is packing but she is definitely a mix breed. Wherever she came from this alluring lady has some impressive high THC levels of up to 23% and also apparently THCA of up to 20%. Due to its mostly physical effects it is thought to be a more Indica dominant plant. The effects are good for those suffering from Insomnia, Muscle Cramps, Chronic Pain, Appetite Loss and Anxiety as you will feel relaxed deeply, so you will unwind and feel your pain slip away along with your worries and tension, but it is worth mentioning that if you smoke too much you will definitely be couch ridden! Thus making it excellent for those who find it hard go to sleep and stay asleep as this will knock you out. The aroma you will get is very strong and skunky hash and the flavour is also skunky with an nice earthy and herbal undertone that is kush like.